Successfully Added Unlocked Touchscreen Dual SIM Dual Standby Cellphone (Coffee) to your Shopping Cart. Unlocked Touchscreen Dual SIM Dual Standby Cellphone (Coffee). 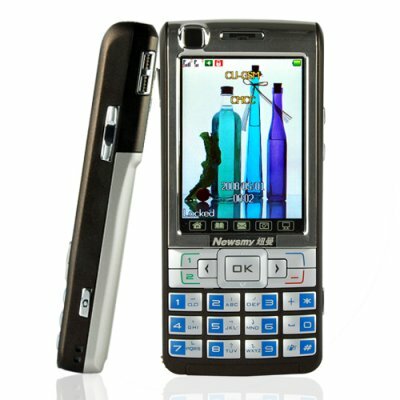 New version of the Newsmy branded high quality mobilephone in a new color combination. The CVFV-M06-COFFEE Newsmy touchscreen mobile phone is proudly brought to you by Chinavasion Electronics. Order your stock now and don't forget to check our mobile phone accessories section to see our selection of Bluetooth speakers and earpieces. THIS PHONE WILL NOT WORK IN THE U.S., CANADA, MEXICO.